Why do we ask for your ZIP code when you need an antenna recommendation? So, you know all about our free antenna recommendation tool. But still, there’s something that troubles you about giving out your ZIP code when asking a stranger for advice. I get it, you can’t be too careful. You may think we’re asking for some scary reason, like to get marketing data or whatever. Really we’re just trying to get the best recommendation possible. Every area is different and when we’re looking at antennas for you, we’re looking at all the TV towers, how far away they are, how well you should be able to receive them, and what frequencies they’re on. This varies from city to city — in fact from neighborhood to neighborhood. Imagine one person at the bottom of a hill and the other up top. They’ll get different results with the same antenna. Really to get the best possible antenna recommendation, we really prefer to have your exact address. From there we can get the elevation of your home, an idea of what’s around you, and even an idea of the trees and other things that could block the signal. As anyone who has ever googled themselves knows, you can get a lot from an address. We can even tell if you’re in an apartment complex, which might mean you can’t put up the antenna you want. We don’t use an app and we don’t just plug your information into a web page. You can do something like that yourself. Here’s a little view into how it’s all done. The first thing is, a certified antenna technician looks at the request. If you have special needs those are noted. For example, you may not be able to go up on the roof or your home may be made of cinder block which repels antenna signals. Using the latest tools, a tech looks at your location. How high up is it? What sort of things might obstruct the signal? Are you in a special area where signals don’t travel well or an area where they do? 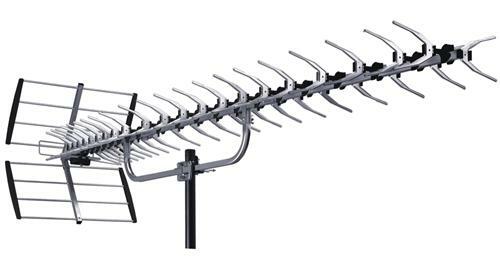 Different parts of the country have different antenna performance and that’s all part of the consideration. We use the latest FCC information to look at not only the signal you’ll get today but the signal you’ll get in a few months. By the end of 2020, most TV stations will have changed broadcast frequencies. It’s part of a plan to free up space for cellular data services. You need to know that the antenna you buy today will perform as well as it needs to, for a long time to come. Our antenna selection is huge. That’s why people ask technicians to make a recommendation. Our staff looks at all the options and recommends the combination of antenna and accessories for you. It’s all very scientific, and even better, it’s all free to you with no obligation! Should you worry about privacy? But I get it, asking for all that information can seem a little stalkery. It isn’t, though… we are just trying to do the best we can for you. Picking an antenna takes a lot of information, and we want to get it right. Nothing more than that. We don’t store your information long term and we don’t ever sell it. It’s used for one purpose only, and that’s getting you the best possible antenna recommendation. If you want to know more, contact the experts at Solid Signal by calling 877.312.4547. You’ll get a technician in our 100% US-based call center who will take care of you!